2011: Strategy completed for Riebeeck East (RE) water. November 2012: Pre-feasibility study indicates that owing to high poverty levels, it is not economically feasible to seek surface water alternatives for RE. Study recommends the use of rainwater harvesting tanks to diversify the water mix for households and the use of a defunct irrigation dam of 30 000 m/3 to augment domestic supply. 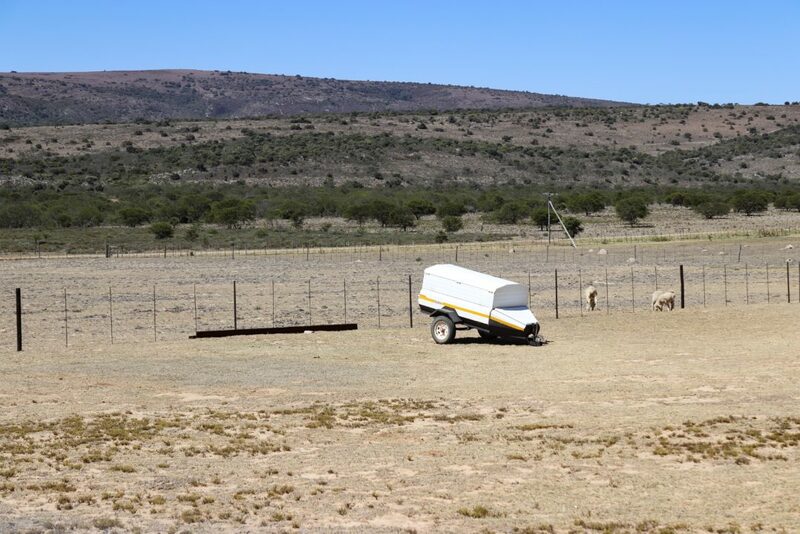 2015: Riebeeck East experiences severe drought conditions. Residents sign a petition about the water crisis, which is sent to Parliament. February 2015: Site visit investigation by two engineers from the Municipal Infrastructure Support Agency (MISA) indicates that while the dam is not a permanent reliable source, prospects for its use to augment water supply for around 70% of the year are positive. An existing pipe feeds into the water treatment works (WTW). An extraction connection, without the necessary electricity connection, would cost just R30 000. Meanwhile, the visit reveals that the WTW is in immediate need of refurbishment. The state of the clarifier is a matter of “serious concern and poses a danger as it is currently held together by lorry load strap belts”. 13 March 2015: Makana Water and Sanitation Indaba 2015 led by then Minister Nomvula Mokonyane. August 2015: New report notes that none of the recommendations of the 2011 reconciliation strategy have been implemented. The new strategy recommends urgent adoption of a Water Conservation and Water Demand Management Strategy, along with further development of groundwater resources in combination with an upgrade of the WTW. 13 January 2017: Team inspection at Riebeeck East looks at dam and possible sites for new boreholes. 2017: Makana declared a drought disaster area. June 2017: Riebeeck East dam runs dry. Community offers to fix the dam themselves at their own expense but asks Makana for some labour to assist. They also request assistance with the poor condition of tanks at the Water Treatment Works and to supply Jojos in the Nomzamo township. July 10 2017: Dali Mlenzana, director Makana Engineering and Infrastructural Services says that DWS is busy with the procurement for the installation of 140 JoJo tanks in Riebeeck East through the Rapid Response Unit of the Dept of Cooperative Governance and Traditional Affairs (Cogta). He also states that drillers will go to establish new sites for boreholes “in the next couple of days”. Mlenzana says it is not viable to repair the dam and suggests that the community should approach the Department of Water and Sanitation for permission to fix the dam (as they are the owners and regulators of all raw water in SA). He says the community would also need to request the right to use in the form of a lease to use the dam which is the property of Makana. December 2017: Block making project stalled because water and electricity not supplied by Makana as promised. Boreholes still not drilled. 2018: Four new boreholes drilled in RE. R510 000 spent. But, boreholes not connected to the WTW (need pipes, pump, electricity). Makana promises that this will happen by 30 June 2019. R15 million allocated. 2018: Depth of pumps lowered at one of the three existing boreholes. Water supply has been throttled to two hours a day (6am-8am). January 2019: Still no JoJo tanks installed in Nomzamo township. Dam is empty and no plans for repair. Existing boreholes critically low. Water quality is low as there is high iron content in the groundwater – this source requires extensive aeration, chlorination and settling before use. Washing frequently discoloured by the use of this water. Colour and taste not acceptable to residents. Residents have water for maximum four hours per day.